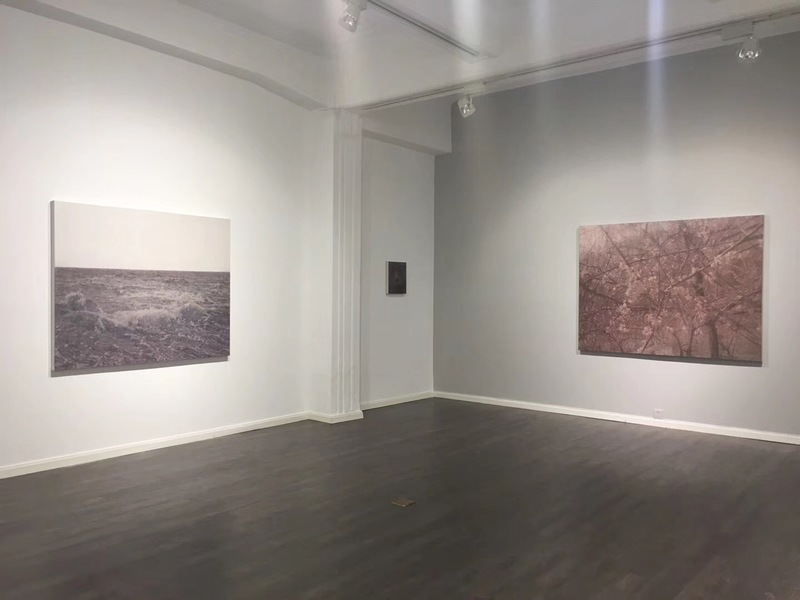 AroundSpace Gallery is proud to present the first solo exhibition of artist Dou Rongjun in Shanghai in fall 2017, showcasing nearly 20 paintings of various sizes and styles, which indicate the innovation and breakthrough made by the artist in recent years, and his capability and confidence in mastering different styles and subject matters. Like other artists in his age, Dou received an academic art education focused on realistic styles and techniques in school, which helped him develop serious draftsmanship and oil painting skills. His generation of Chinese artists were also deeply influenced by the German expressionist movement, which encouraged him to incorporate his personal emotions and judgment in his art. Coming up from these backgrounds, Dou is comfortable navigating his styles in between abstract and figurative, as well as managing landscape, portraits, or other subject matters. 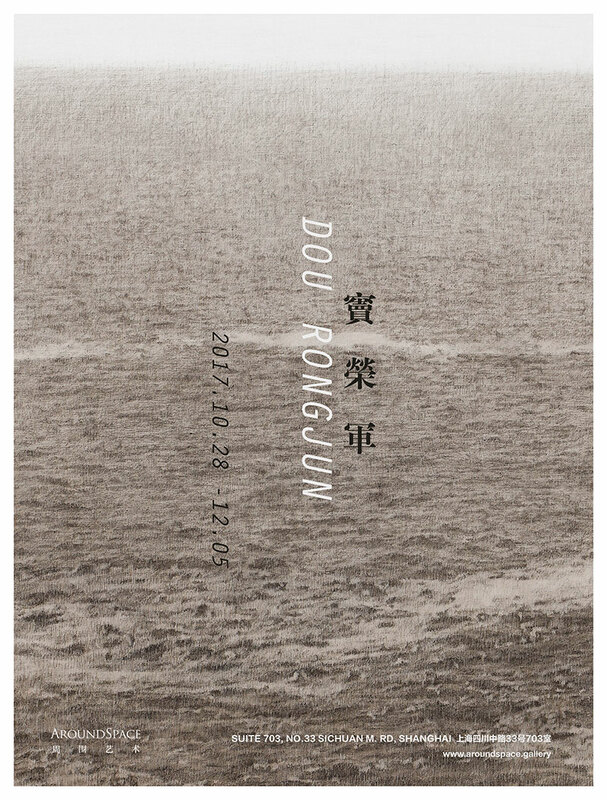 There are quite a few paintings shown at the Dou Rongjun Solo Exhibition that have water as the subject matte. 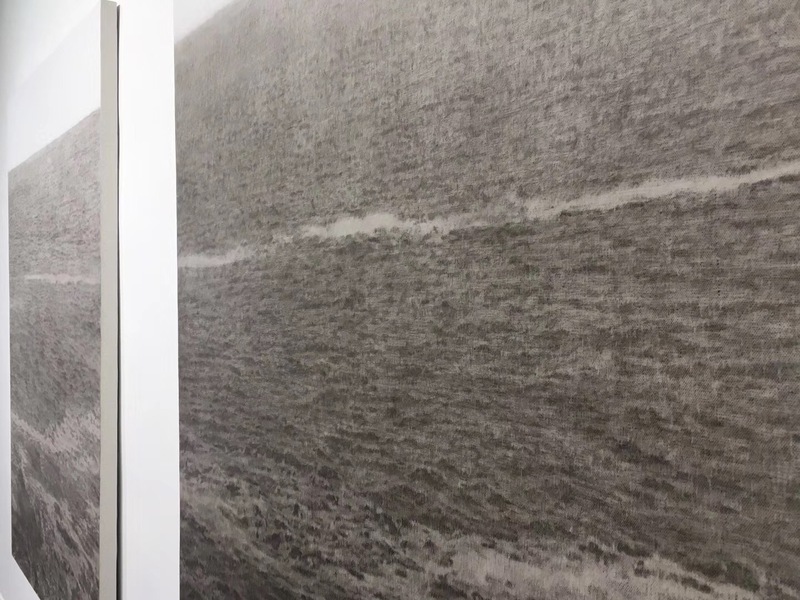 At first glance, they remind us of Japanese artist Hiroshi Sugimoto's black and white photography series, Seascapes. 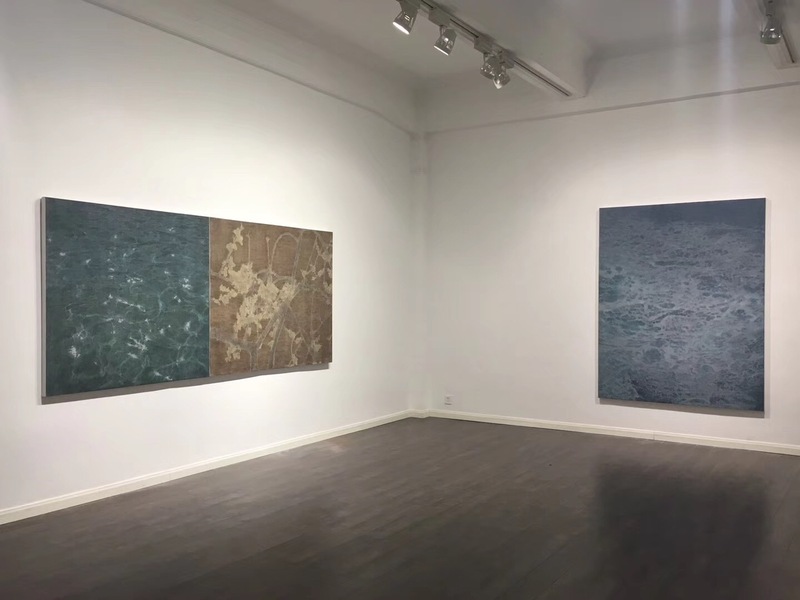 Sugimoto believes that ocean and air are two most changeless elements on earth over the past millions of years. They are primitive and pure, providing the most immediate connection between contemporary people and ancient times. 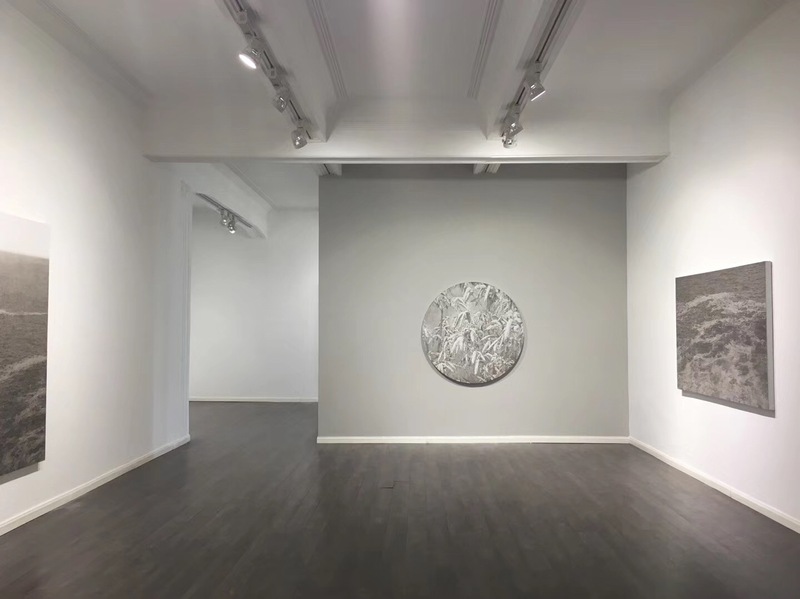 Examining ancient and timeless subjects, Dou's art responds and references Sugimoto's. However, Dou's painting is different from photography work. Only when we are in front of the canvas, can we appreciate his experimentation from his bold use of laying colors, to his mixing of pastels and oil paints. 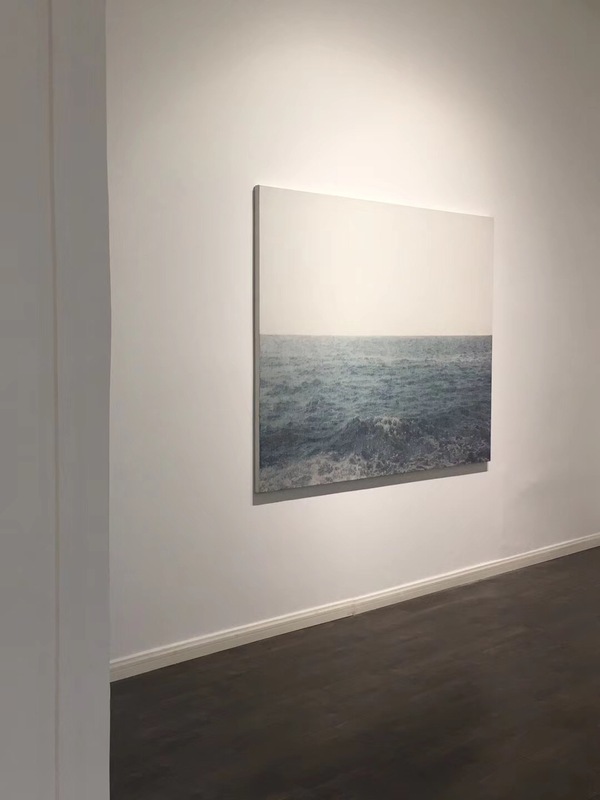 The Tide serious, shown in this exhibition, transformed a large surface of water with order-less waves and ripples into an organized, polyphonic symphony. Nocturne and Green Lights reveal different aspects of waterscapes conceived in the artist's mind. In addition to using the universal natural substance, water, as subject matter, Dou also turns to the relationship between humans and nature. 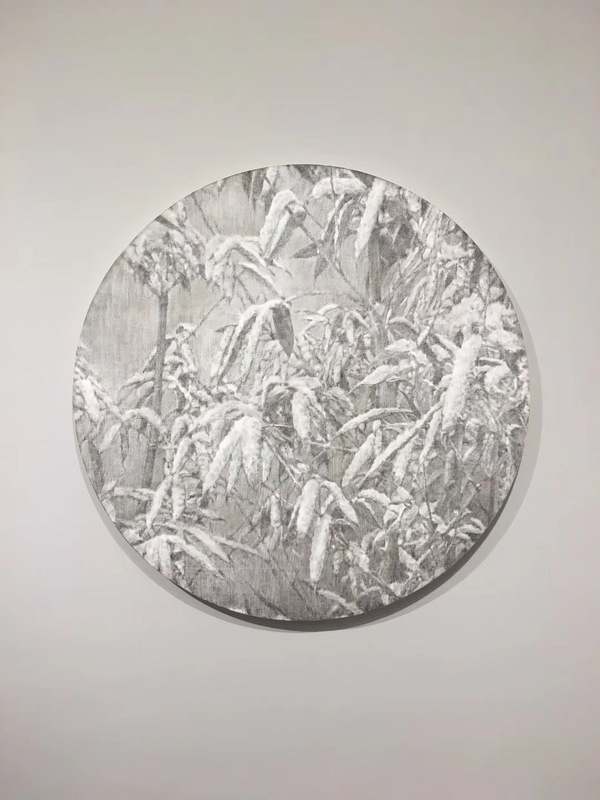 In A Winter Day, Snow Pine Trees, and Snow Bamboos, he interprets oriental artists' attention to nature and plants, using Western oil painting techniques. In Jinsha River, he vividly captures a group of figures with only a few brushstrokes, a technique stemming from German expressionist artists, and his choice of a gray-scaled palette is no doubt an influence from contemporary German artist Gerhad Richter. In his 2011 Self Portrait, we can see the artist's inner reflection of self being projected on canvas. From attempting new techniques and maturing in styles, to elaborating and portraying in space and human figures, to representing and expressing in light and spirits, Dou Rongjun can be expected to move further on the journey of painting as an artistic medium.